This document is to be read and filled out by anyone using equipment, chemicals, or bench-top/hood space in the MEAN Lab AFTER viewing the Mandatory Research Training videos and information below. It should be read thoroughly and followed precisely. For any emergency dial 1-205-348-5454 to reach UA's police department. 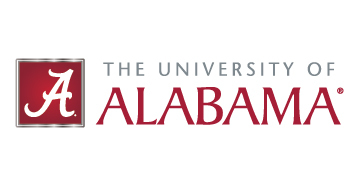 During an emergency on campus, one may listen to UA's radio station [WVUA - 90.7 FM] for precautions and instructions. All incoming research students (B.S., M.S., Ph.D., visiting researchers) MUST view ALL Safety Orientation & Training videos and ALL Specialized Laboratory Training Topics videos BEFORE conducting any experiments. The Dow Chemical Company is kind enough to provide these free laboratory safety modules, which include information on methods for evaluating laboratory hazards as well as best practices for mitigating risks. Special cases can also be directed to the Plan, Evaluate, & Execute videos. Particularly, the Interpreting Material Safety Data Sheets video, Chemical Labeling video, and the Sample Transportation & Shipping video. The SAChE Certificate Program - Basics of Laboratory Safety is free to all undergraduate students and MANDATORY to work in the MEAN Lab. The 5 hour online course will result in a certification that looks good on any resume...as well as my very SAFE laboratory wall. This course provides a complete review of safety for laboratories handling hazardous chemicals. It covers the safe use of key related lab equipment. While the discussion is aimed at laboratory scale, it introduces wider process safety management concepts such as toxicity and toxic levels, flammability and flammable parameters, use of safety data sheets, job safety analysis, risk levels, bio-safety levels, and fire and explosion prevention. For those UGs who plan on going into industry, the SAChE Certificate Program - Chemical Process Safety in the Chemical Process Industries is also free and VERY worth your while to complete (also results in a certificate that many companies would love to see on a resume). Get a solid introduction to the application of chemical process safety technology in an actual chemical facility. The video series is divided in roughly 30 minute segments. Topics include: Concept of corporate safety programs Laboratory safety inspections of personal protective equipment Process area safety features and procedures DIERS methods for characterizing runaway reactions Equipment and methods to characterize flammable dusts and vapors Informal and formal safety reviews Do you already own this? Kennith S. Suslick (UI-UC) has a great safety resources page on his site. James M. Tour (Rice) has very informative safety presentations and links on his webpage.